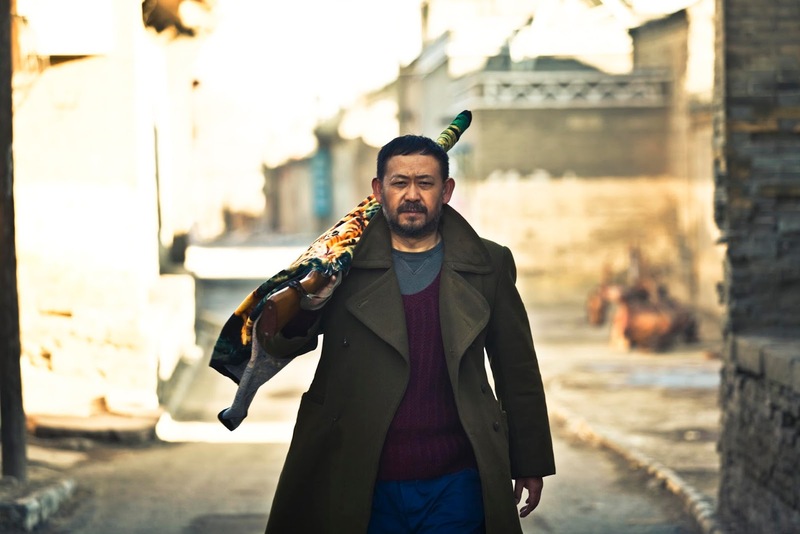 I’m a fan of Jia Zhangke’s work (see Still Life and Xiao Wu posts) and his latest is no disappointment. The title references the classic A Touch of Zen (Xia nü, Taiwan, 1971), a wuxia that was successful at Cannes, and suggests that Jia is working in genre rather than the social realism of his previous features. The latter label doesn’t quite do justice to Still Life as its setting, a town about to be submerged for the Three Gorges Dam, is semi-surreal and includes a shot of a building blasting off into space. However, the purpose of Jia’s work is no doubt to highlight the plight of ordinary folk left behind by the vast expansion of China’s economy. A Touch of Sin tells four stories, based on ‘true life’ as told through Weibo (China’s Twitter), of ordinary folk being pushed to their limit and each, while telling of sin, ends in violence. Thus we get a fascinating mix of Jia’s, as usual, brilliantly fluid steadicam direction, that waltzes us through the ridiculously rundown places to the sublime modernity of, for example, a massive bridge, and genre violence. The third (of four) story, featuring Jia’s wife, Zhao Tao (below), who also appeared in Still Life, steps into the wuxia of Zen in its bloody climax. I enjoyed the audacity of mixing two discourses (genre and social realism) and it worked to emphasise the way in which China’s headlong rush into modernity has left many people behind so their only recourse is to violence. Apparently President Xi is a fan of Jia’s work which is why the film has been distributed in China; a surprising eventuality given how critical it is of the state, albeit indirectly – see Tony Rayn’s excellent piece. It’s quite extraordinary how many black people are being killed by law enforcement officers in America and getting away with it. Racism is so institutionalised that even when Trayvon Martin, an unarmed 17-year old, was shot in the back by a vigilante, George Zimmermann, the latter was found ‘not guilty’. Clearly it is open season on people of colour. The UK is not without its problems, Mark Duggan for example, but we can’t compare to America. 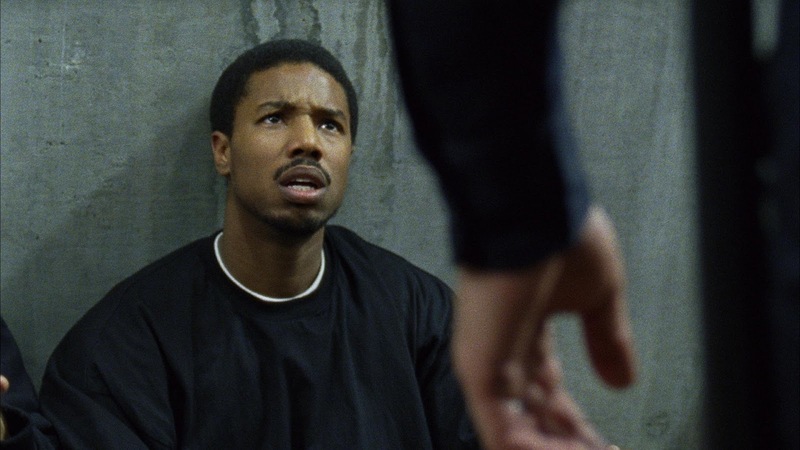 Fruitvale Station, which recounts the last hours of Oscar Grant (Michael B. Jordan, brilliant in the role) before he was shot in the back whilst being arrested lying facedown, was released around the same time of the Trayvon Martin verdict. Its $16m North American box office was indicative of the film’s topicality as well as its quality. Although these films are dramatizing the social problem, right wing critics characterise them as being part of the problem. Unlike Zimmermann, the transport policeman was found guilty and sentenced to… two years (served 11 months). His defence was he thought he was firing his taser. The video footage, filmed by numerous onlookers (it was the early hours of New Year’s Day, 2009), may have helped get the conviction though this is doubtful as it didn’t help Rodney King get justice. The film starts with this ‘confused’ footage and then reconstructs Grant’s last hours, using a realist handheld camera style and shooting on Super 16 to avoid any slickness. The film reminded me, as we followed Grant’s fairly ordinary last day, of Charles Burnett’s Killer of Sheep (US, 1977) as it focuses on ordinary people’s lives who happened to be black. It is strikingly rare to see such representations of ethnic minorities in cinema. Fruitvale Station was produced by Forest Whitaker’s Significant Productions, also responsible for the recently released Dope; presumably Whitaker is taking it upon himself to get the ‘African-American’ voice into film as Hollywood won’t do it. It seems, for many law enforcement officers, the only way to combat this terror is to shoot it. Guerrero, E. (ed.) (2001) Do The Right Thing, London: British Film Institute.